11th of May to 24th of November 2019 in Palazzo Mora in Venice. Happy to see you there. Im Wintersemester 2018/19 wurde Sarah Schrimpf zur Meisterschülerin bei Prof. Dieter Rehm an der Akademie der Bildenden Künste ernannt. "Am 12. Juli eröffnet im Willy-Brandt-Haus in Berlin die Sony World Photography Awards Ausstellung. Gezeigt werden die besten Bilder des Fotowettbewerbs. Insgesamt wurden in diesem Jahr 320.000 Bilder von Fotografen aus über 200 Ländern eingereicht. Rund 130 Fotos werden nun erstmals in der deutschen Hauptstadt gezeigt. die Sony World Photography Awards 2018. Bis zum 9. September sind rund 130 Fotos der Preisträger erstmals in Deutschland zu sehen. und Manuel Armenis, Gewinner des German National Award im Offenen Wettbewerb um 19.30 Uhr die Ausstellung." Meet me there for the opening on 20th of April! Sony have decided in 2017 to start a Student Grant to run alongside the Student Focus competition. They have chosen 3 students to work together on a collaborative project during the last 9 months with the focus of creating 1 project. This project will be shown at the Sony World Photography Awards Exhibition 2018 (20th April - 6th May) in Somerset House, London. 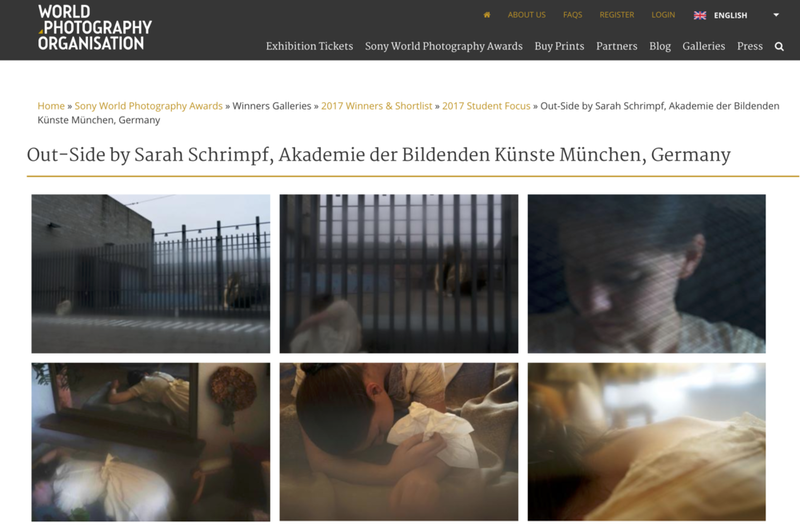 The subject of the first round for the 2017s student competition of the Sony World Photography Awards was "Memories". My photograph "The Tutu" got shortlisted amongst the 10 best student works in photography worldwide. The second round of the competition was around the subject "Emotions".